In only a very few places have major developments taken place on the line - the most significant being Penruddock station which has been converted into a housing estate. At Beckses (west of Penruddock) some bridges have been removed and the ground landscaped back to the form it had before the Railway was built. 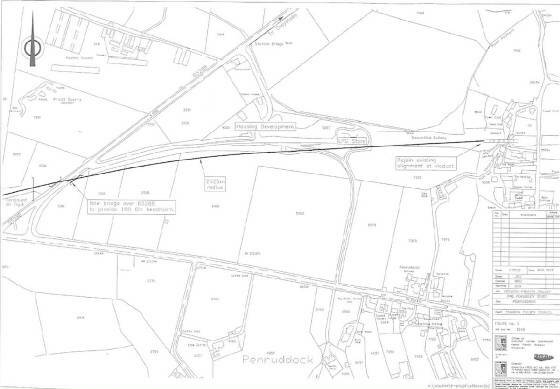 The A66 also cuts through the alignment at almost exactly the level of the original track. At Threlkeld the eastern approach to the viaduct carrying the A66 across the river valley stands on the alignment of the trackbed. Below are scketches from the "pre-feasibility study" conducted on behalf of the Local Authorities in 1996. These confirm the ideas put forward by Cedric Martindale. The work done by Corus Rail Infrastructure Services (CRIS) more recently has developed these ideas. These sketches demonstrate that features which many people see as "obstacles" are not major challenges at all and can be overcome by straightforward new construction. Houses have been built on the original site. A simple "by-pass" to the south of then station site gives an easy alignment through open land. 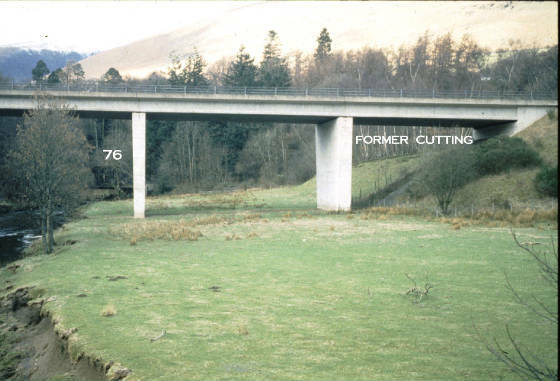 By re-building the Railway at a higher level, it is possible to cross over the A66 with a bridge. A level crossing at this location would be unacceptable for safety and traffic volume reasons. The trackbed west of Beckses rises towards Troutbeck, so the extra elevation does not create any serious issues. North of the A66 is a hill which the Railway used to cut through. A higher alignment would meet the top of this hill then drop gently towards Penruddock. The eastern approach of the bridge across the river valley stands on the original alignment of the Railway. In the early stages of the project it was felt to be easier to construct a deviation under the road bridge. This did, however, raise concerns about construction on a flood plain. As the project progressed, Corus had experience of reopening railways through such embankments (on the Tyne and Wear Metro extension) and advised that reconstruction on the original alignment would probably be equally economic. The original track alignment was to the right of the end of the concrete bridge. 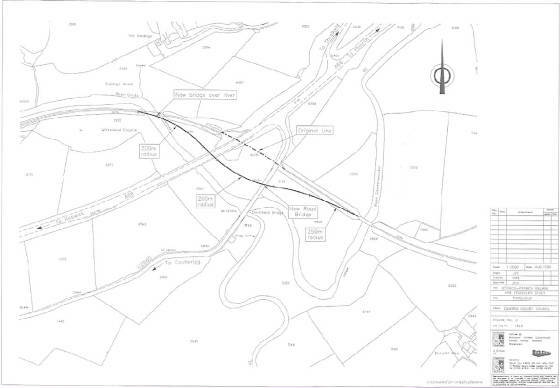 Creating a bridge orrunnel under th road would maximise the speed of trains on this section. The suggested alignment with a "dog leg" would go through the right hand span where there is an earh embankment at present. This would not affect the flood plain of the river. 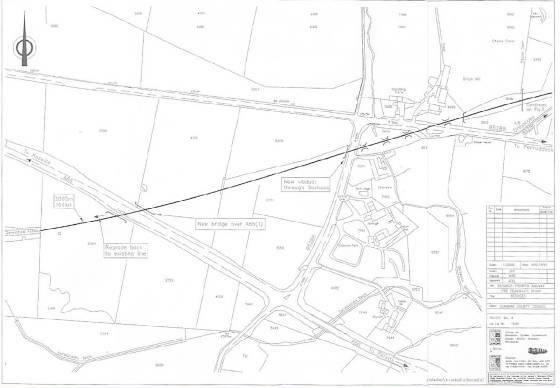 The Pre-feasibility Study can be downloaded via the "Why reopen the Railway" page.